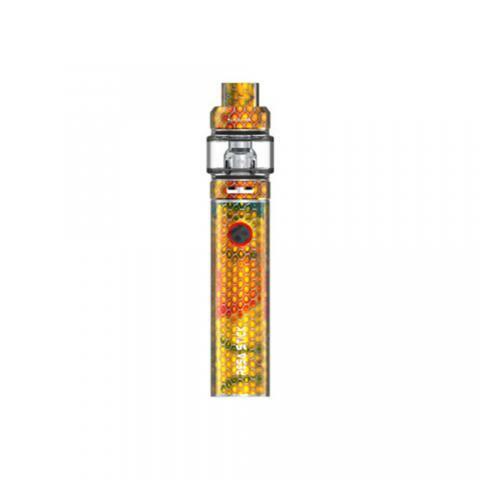 Smok Resa Stick Starter Kit, which comes with LED indicator to clearly display status of power, has powerful built-in 2000mAh battery to offer long stand-by time. In addition, it has multiple protections to ensure efficient operation and high performance. Smok Resa Stick Starter Kit, which comes with LED indicator to clearly display status of power, has powerful built-in 2000mAh battery to offer long stand-by time. In addition, it has multiple protections to ensure efficient operation and high performance. Cobra Resin drip tip provides excellent tactile impression. It is compatible with V8 Baby coil and Mesh coil has faster heating speed to save your time. Furthermore, top refilling and adjustable bottom airflow will be also helipful for enjoying easy vaping. What are you waiting for? Just get it. • No liquid, you need to buy it seperately. • Three-month warranty for Resa Stick Battery and Resa Baby Tank. Smok Resa Stick Starter Kit with a 2000mAh capacity. It is a potent mix of portability and power. It elevates the vape pen-style systems to a brand-new level featuring the TFV12 Resa Prince for a luxurious masterpiece featuring resin dyed elements.